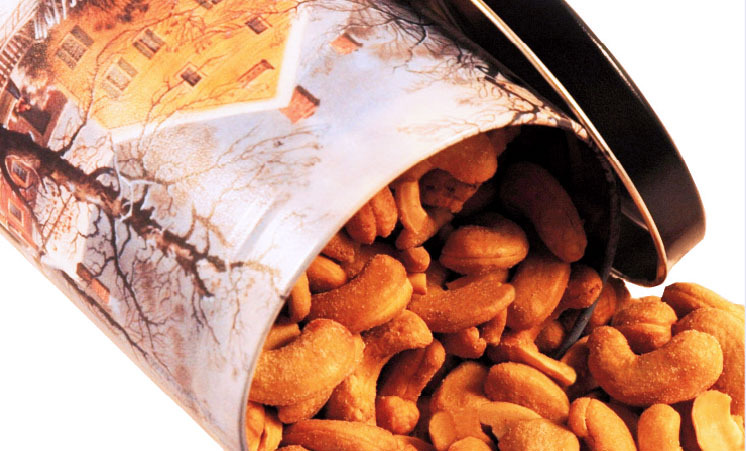 Fresh roasted jumbo cashews in a delightful holiday tin. Fresh roasted jumbo cashews. Great for holiday gift giving. (Design on tin may vary).